Greetings,What happened this week (and last)? Rebalance of Wedge Antilles and Biggs Darklighter – they’ll have great synergy together. The frequency of Raid Gear appearing in shipments will increase. Geonosian Spy will stay in Aurodium packs for another 2 weeks. MK 5 CEC Fusion Furnace will be placed back into Shipments and MK 6 Nubian Design Tech will be taken out. Prior to unlocking Mod Challenges only 1, 2 and 3 star Mods will be available in Mod Shipments. Upon completion of ALL Tier 1 Mod Challenges 4 star Mods will start to appear in Mod Shipments. Upon completion of ALL Tier 2 Mod Challenges 5 star Mods will start to appear in Mod shipments. When is the Tank Takedown Raid being released? The game team is still putting the finishing touches on the new Raid, including balance testing with the recent adjustments to Mods. 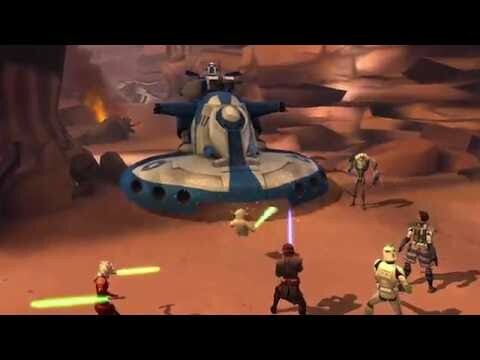 Are there going to be any additional changes to Galactic War? There are no immediate plans to make any further adjustments to Galactic War. We did recently increase the reward payout for each node and fixed a bug where players were facing teams that were based on the old Mods before we adjusted the stats on them. When are you going to fix more character bugs? We’re fixing a number of bugs with the update next week and will continue to do so with each update that is rolled out. You all may have also seen @CG_Kozispoon hanging out in the Bugs & Issues section of the forums. Kozi will be compiling all of the currently reported bugs, what we’re currently working on fixing, and what we’ve recently fixed and post that next week.